Laurel Hoa, of Kensington, Md., center, holds up a sign that says "no human is illegal," with her son Gabe Hoa, 3, during a rally in support of the program known as DACA, outside of the White House Tuesday, September 5, 2017. On the heels of President Donald Trump’s announced change to Obama-era immigration policy, West Virginia’s Attorney General and those in nine other states say they will drop a lawsuit against the federal government. Trump’s order gives Congress six months to make the program law or allow the Obama executive order to end. A March 31 report from U.S. Citizen and Immigration Services shows that 117 West Virginia residents have been initially approved for DACA status. Of those residents, hundreds of renewals have also been granted. Nearly 800,000 people have been approved for the program nationwide. 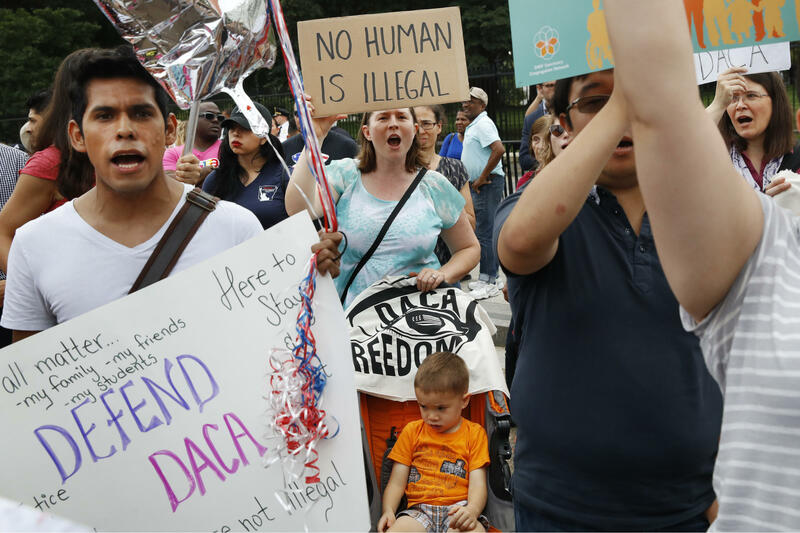 According to Morrisey’s office, Texas, West Virginia and the eight other states who have threatened to challenge DACA in court, will no longer pursue litigation on the matter.